Sonairte is the type of place I like to go as a horticulturist. As a green minded person, it’s also where I go with my daughter, as a Father; horticultural qualifications not worn on my sleeve, on them days. 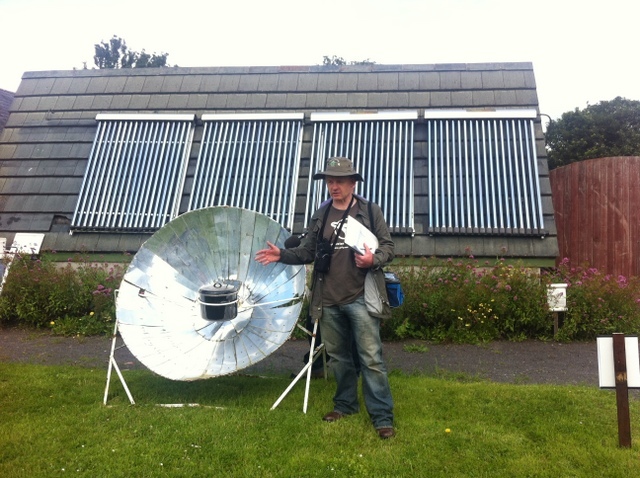 There’s something periodic table of the elements type simplistic about solar-powered reflector satellite slow cooking, frogs as a method of pest control and bicycle powered electricity. Kermits favourite colour aside, the setting, even when it’s not a glorious day at Sonairte, is absolutely stunning. 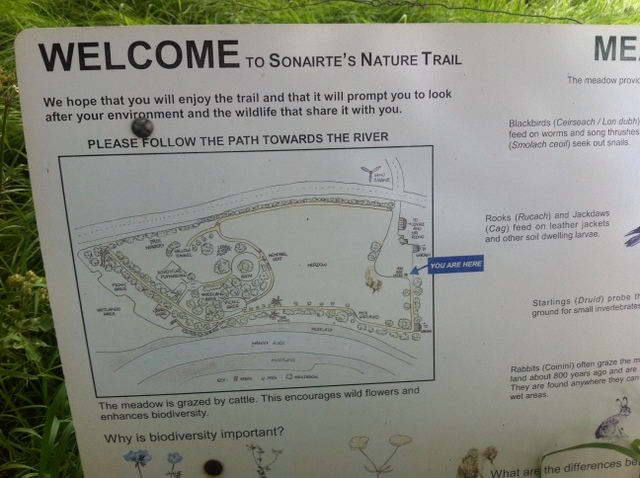 If you are looking for comparables, Sonairte Ecology Centre is a little The Centre for Alternative Technology crossed with River Cottage Farm, but yet Irish and still neither of the above. 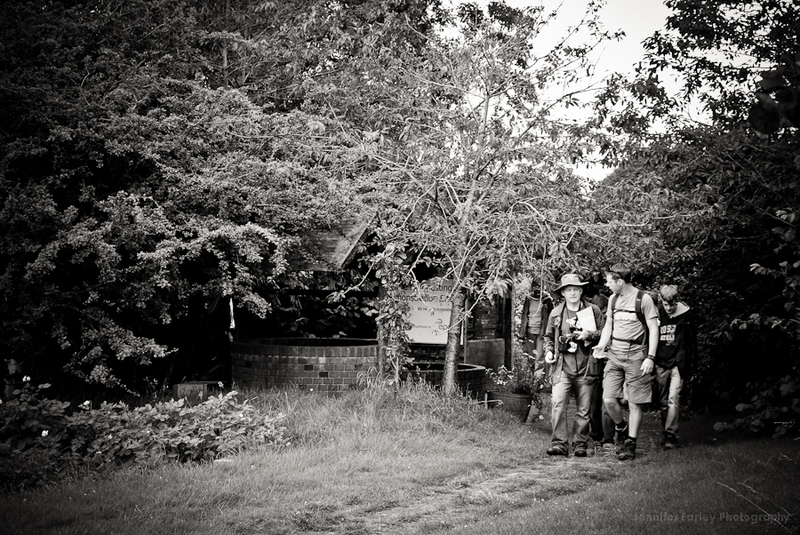 My visit on this occasion was a first for the garden group that I have run for the 3 last years. The Garden Group in short: There’s no membership, there are no costs and it attracts more non gardeners than botanists. A bit different, you may say. I kind of like it that way, though some say it’s very silly of me. We’ll see… but for the now, it’s all good. 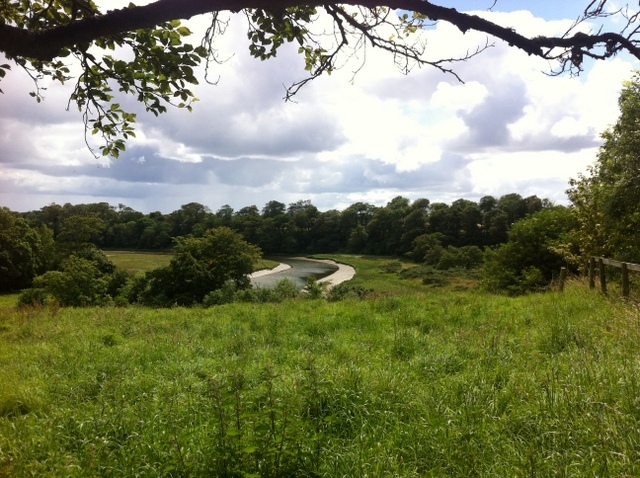 Sonairte may be many things imperfect to some, you’ll understand what I mean if you go there. That, that imperfectness though is allowed at times and here I find it suits this landscape. 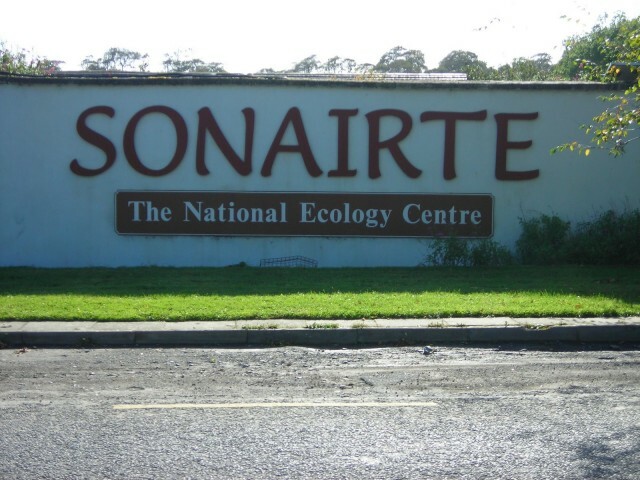 With your garden in mind, what Sonairte allows you to witness is en mass extremely diverse biodiversity, that in the real world works. There are elements of Sonairte that also exist in my garden, and vice versa. They are touches that may make my space outdoors appear to some, slightly uncouth maybe, when compared with the ye olde type formal – though they always existed in pre 19th century garden design. Domestically, garden planning in mind and far more important is that I know it is possible to take a little of the unscrupulous and allow it fit within your space outdoors, for the greater. 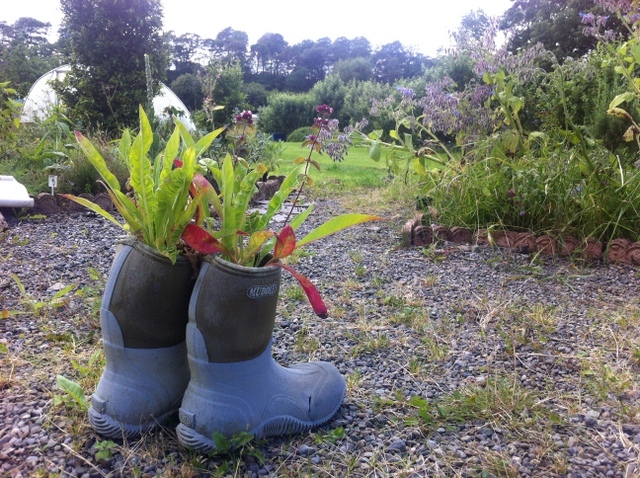 From garden feature ideas to growing your own and from the very thought provoking to what maybe, may surprise you to see children smile at, Sonairte really is one of Irelands hidden gems. On a slight side note, The Sodshow garden radio microphones came along for the garden groups journey and our afternoon out will go to air this Friday and next in 2 parts. There was that much to take in. A large note of thank you to nice guy and green buddy Trevor Sargent who was our guide for the afternoon. Also to the wonderful volunteers at Sonairte who are and were yet again just lovely. Also and by no means forgetting you who have, may and did come along. Of Note: The first two images are courtesy genius photographer Jennifer Farley. 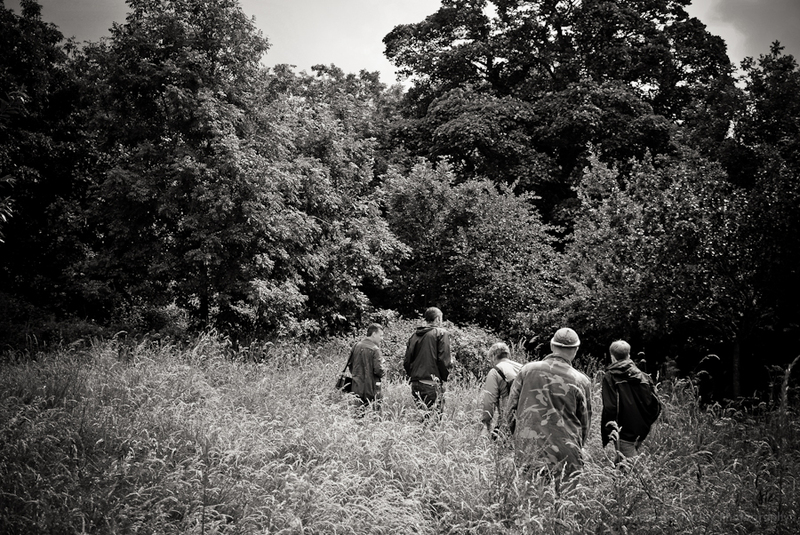 I highly recommend a browse through her genuinely amazing photographs of the garden groups day out. 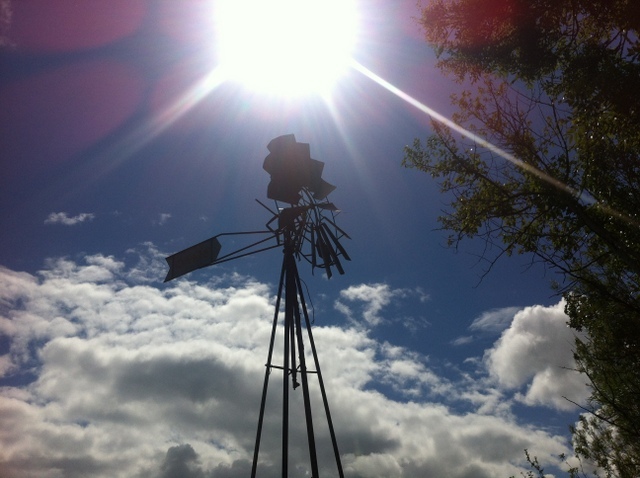 Time: 11.30 am on location. Details: Trevor Sargent will be our personal guide for this fantabulous day out. New To The Garden Group ? I got a call last week from Conor. He was doing this article on Grow Your Own and asked for some thoughts. To the pieces I know that I have written that may refer to my quotes below. Grow your own kits cheaper than B and Q. I think it’s a logic alternate piece. There are many products I have reviewed that I purchased from b&q. This just happened to be one I thought was a bit not for me. The ultimate guide to chickens. There are hen houses out there that do cost more than others. But if I see one more person tell me that my hens know by instinct to not eat my lettuce, radishes and prize roses will eat weeds and that grow your own hens will save me money…. i’ll implode. €1500 plus is a lot of eggs. And as a buy the way I also did a talk, quite recently, for one of GIY groups. The pieces I point out above are just some. There are many others in there. You may have to search within the blog. My comments are in bold below but I do recommend you read the entire original Pricewatch article by Conor Pope. IT IS A WARM sunny afternoon and Trevor Sargent, the former Green Party leader and recently resigned Minister of State with responsibility for Food, is covered in bees. Since he stepped down from his ministerial post in controversial circumstances earlier this year he has become an amateur bee-keeper and has proved so adept at managing his hive that the bees now need a second home. He is in the process of relocating some of them when Pricewatch interrupts him to talk gardening. Along with the bees, Sargent has a kitchen garden which has grown rapidly in the last two years. While it is hardly a surprise to learn of this ardent Green’s green fingers, the amount of fruit and vegetables he is cultivating on his small plot of land – no bigger than 7 by 13 metres – is quite remarkable. This year he has potatoes, onions, leeks, shallots, garlic, beets, chard, kale, cabbage, four types of beans, lettuces, radishes, apples, blackcurrants, plums and a cornucopia of other fruits and vegetables growing in his patch. It has even been floodlit and laid with concrete paths to allow him to garden day and night and in good weather and bad. For Sargent the motivation is not about saving money but about “appreciating what goes into making the food that appears on our supermarket shelves and understanding the difficulties our growers face. I don’t know how I’d measure the financial cost of the hours I spend in the garden in the middle of the night but it is cheaper than a psychotherapist and keeps me sane. I find the weeding relaxing and something of a therapy after the frustrations of politics,” he says. Sargent is part of a growing army of Grow It Yourself (GIY) advocates in Ireland and as the movement grows so does the amount of cash we spend on herb, fruit and vegetable plants. It has increased by 40 per cent over the last eight years. The estimated spend on such plants in the gardening year between April 2009 and March 2010 was around €14 million. 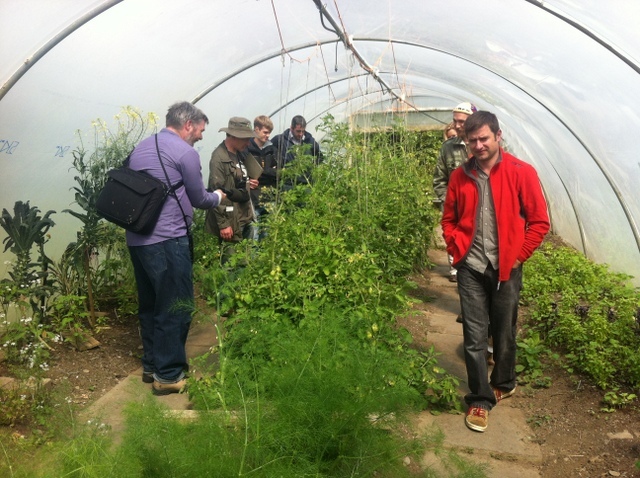 Spending on sheds, glasshouses growing tunnels and the like increased by 38 per cent to €58 million from 2007 to 2010. Not wanting to be left out, Pricewatch hopped on the bandwagon earlier this year and we planted our own potatoes in a barrel. In keeping with a long-standing Irish tradition, the planting took place on St Patrick’s Day. Incidentally, this tradition first took root because in the 19th century, the Catholic Church distrusted potatoes because there was no mention of them in the Bible and they grew underground so were obviously closer to the devil. Not wanting to incur the wrath of God or the priest, the peasants sowed their spuds on holy days and sprinkled them with holy water, for all the good it did. Our seed potatoes cost less then a fiver, the bag in which they are growing cost the same, the compost was another tenner which takes the total cost of bringing our crop to table at around €20. We could, in fact, buy considerably more potatoes for that sum than we’re likely to get, but to look at it from a purely money-saving perspective is to miss the point, says radio and TV presenter and ardent grow your own enthusiast, Ella McSweeney. “You’re not going to save money in the first year but if you set yourself up properly it is conceivable that you will ultimately cut your costs by growing your own vegetables,” she says. She cautions newbies like us against rushing out and buying all the gear needed to set up a full-scale kitchen garden on day one. She advises people to start with the easy things – lettuce, radishes – and points out that the key is to grow the things that you like eating. The other key is the soil. “If you get your soil right then everything will happen but if you get it wrong then it will be a lot of frustration.” She says people can source well-rotted manure from farms and stables for free or half nothing. All might not be rosy in the GIY garden, however. 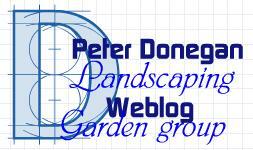 Peter Donegan has a landscaping business in north Co Dublin and writes an engaging blog on all things gardening. While he is 100 per cent supportive of people who decide to grow their own vegetables, he expresses grave concern at the rampant commercialisation of the sector and wonders why many of the GIY advocates, those with the loudest voices, are not warning people against spending big money on fertilisers and kits which are entirely unnecessary and ridiculously overpriced. 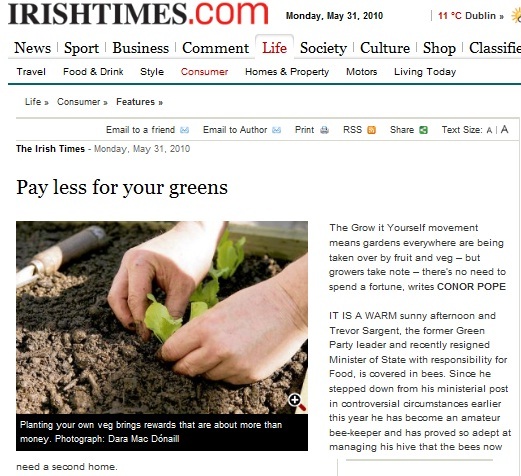 Donegan points out that there are scores of companies trying to cash in on the grow your own movement by selling bags of supposedly enriched fertiliser at sky-high prices, chicken runs for €1,500 and glass houses for even more again. For his part, Sargent is critical of the “purist approach” supermarkets adopt to vegetables. “Their insistence on vegetables conforming to a standard size for example leads to a huge amount of waste.” He also bemoans the fact that a lot of the stuff cannot be bought from Irish growers in Irish shops. Only 15 per cent of the onions sold in Ireland are actually grown here so if you want to be sure of eating Irish onions your best bet is to grow them. unknows to some [it was unknown to me] and it seems Trevor Sargeant – he was away this week and his office was only emailed a report of this, this week. Baleally green waste facility in North Dublin is due to close down. For Good. Why? I don’t know. But there is no alternate commercial facility in place.. to replace, at least not one that is state managed. So where does the [green] waste go? Baleally was the only place north of the river left for commercial green waste. There is another, yet domestic only, green waste facility at The Estuary recycling facility in Swords…. So where should businesses of a green nature dispose of our waste or should one simply throw this issue to landfill, the roadside or the nearest gateway of our politicians… ? Side tracking slightly – domestic green waste is differenciated by the vehicle driven [domestic or commercial] and also by trailer attached to the vehicle whether single axel or greater than. 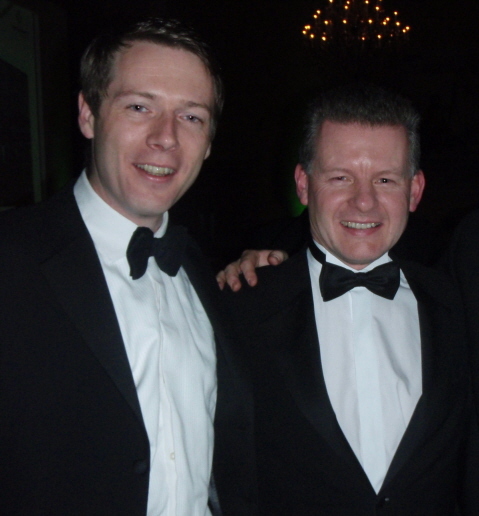 It’s not like the politicians of North Dublin don’t know about this… the question is will ‘they’ do anything…. ? As you know Balleally Landfill which is operated under a Waste Licence issued by the EPA is nearing the end of its life. As part of this Waste Licence we are required to remediate the full landfill site including the area currently being used for the Civic Amenity. Although we have maintained public access to the site and to the Civic Amenity for as long as possible while work is being carried out we must now close the Civic Amenity facility in order to carry out the final phase of the landfill remediation. Balleally Civic Amenity must therefore close to the public on Friday 31st October next.Householders in Fingal can continue to bring their recycling materials to the following Household Recycling Centres at Swords and Balbriggan:Balbriggan Recycling Centre Unit1, IDA Industrial Estate, Balbriggan Co Dublin. (Restricted to packaging, paper, small WEEE, wood and metal, no household refuse or ‘dirty loads’ for landfill are accepted). waste for disposal cannot be accepted at Balbriggan or Swords as these sites are not licenced by EPA. Householder needing to dispose of non recyclable household waste should use their Fingal County Council Black Bin Service, Fingal County Councils Bulky Waste Collection or, in the case of larger quantities of mixed waste for disposal, they should hire a skip or skip bag from an EPA licensed waste collector. We appreciate the huge efforts householders in Fingal make to recycle their household waste and we will continue to provide first class recycling facilities to ensure our customers can continue to do that to the greatest extent possible. thanks trevor, that was nice of you! I got this in the post yesterday from Green Party Mininster of State Trevor Sargent. It was a little bit of a surprise to be very honest, but a most appreciated and very welcome one. http://doneganlandscaping.com/wp-content/uploads/2013/02/donegan-landscaping-logo.jpg 0 0 Peter Donegan http://doneganlandscaping.com/wp-content/uploads/2013/02/donegan-landscaping-logo.jpg Peter Donegan2008-09-17 08:45:202013-04-10 15:21:56thanks trevor, that was nice of you!